Open the chest's secret compartment to reveal a brush and ink set and instructions for making Chinese characters, I Ching coins used to tell the future, a Chinese fan to decorate, plus charts, stickers, and more. 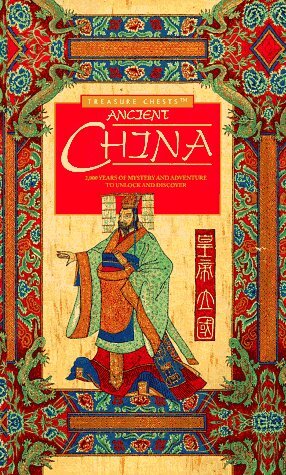 Great kit with book and hands-on activities that helps kids understand better the life and times of ancient China. Lots of information in a very compact book. The activities inside the kit were very interesting and kept my child engaged. Some fun stuff in the treasure chest and the book gave good information.